Just about all electronics use TTL serial for debugging, bootloading, programming, serial output, etc. But it's rare for a computer to have a serial port anymore. 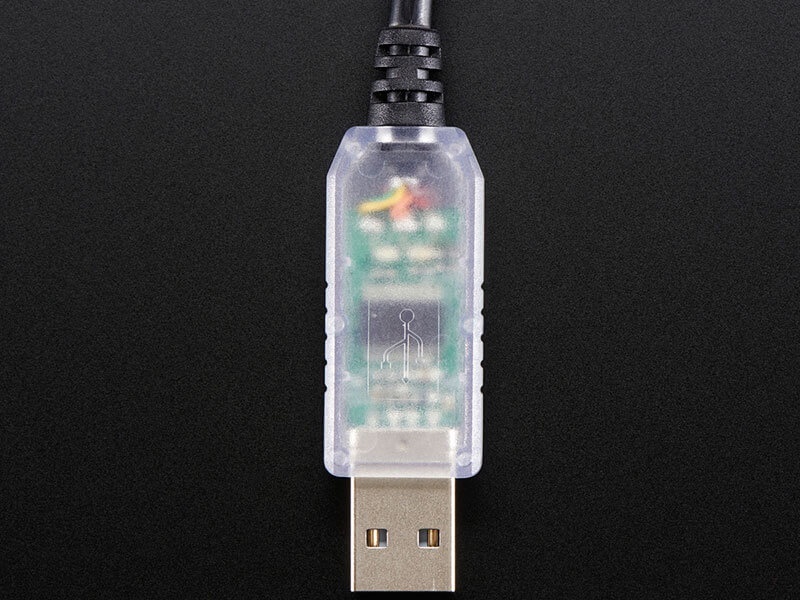 This is a USB to TTL serial cable, with a FTDI FT232RL usb/serial chip embedded in the head. It has a 6-pin socket at the end with 5V power and ground, as well as RX, TX, RTS and CTS at 3V logic levels. These are perfect for use with a Boarduino, Meggy's, or other Arduino clones and derivatives, and Fuzeboxen. Useful whenever you want to communicate with a TTL serial device, such as an XBee. New! We now have a version with a translucent body and RX/TX LEDs! Now it's easier than ever to debug your setup or see data transfer, the red and green LEDs will blink when data is transmitted/received by the FTDI chip. The version we have is the 3.3V. The data signals are at 3V and the power line provides 5V. 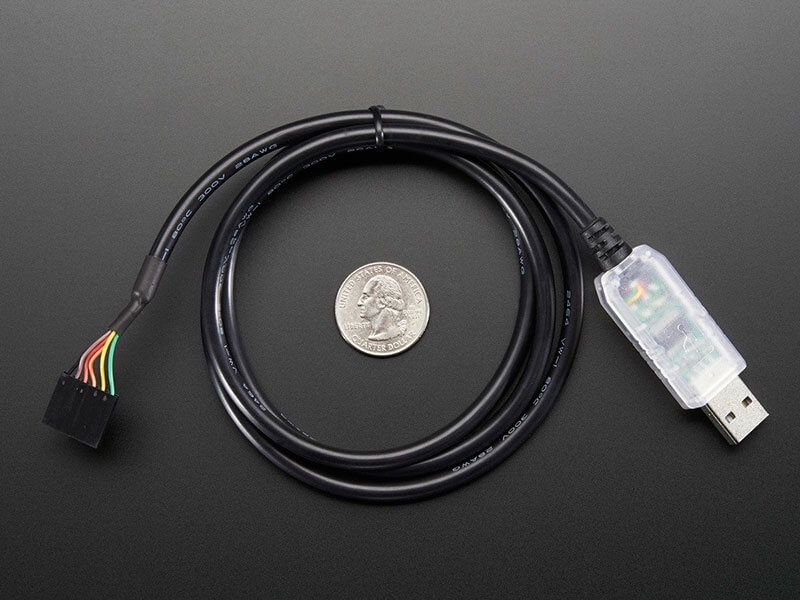 We suggest this for any product that needs FTDI cables. 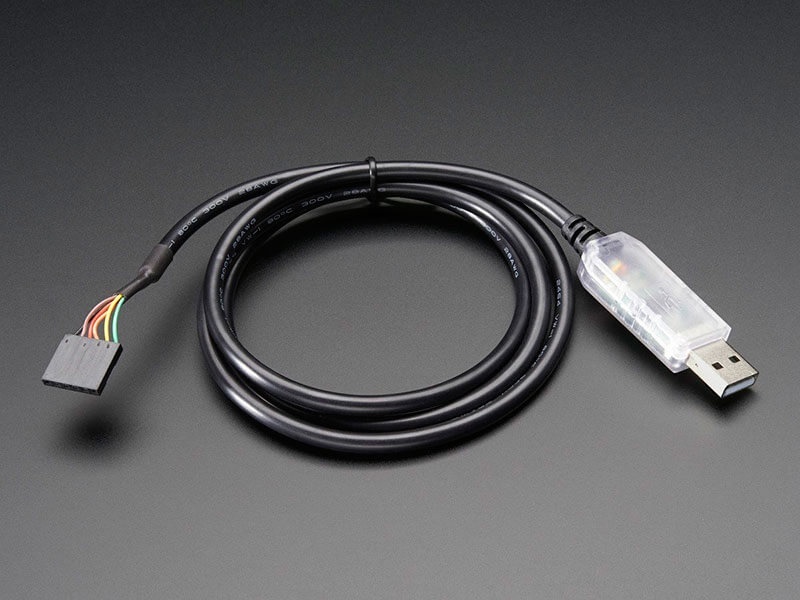 Because the cable is 5V-logic compliant, you can use it with 3v or 5v logic just fine - no level shifting required!. 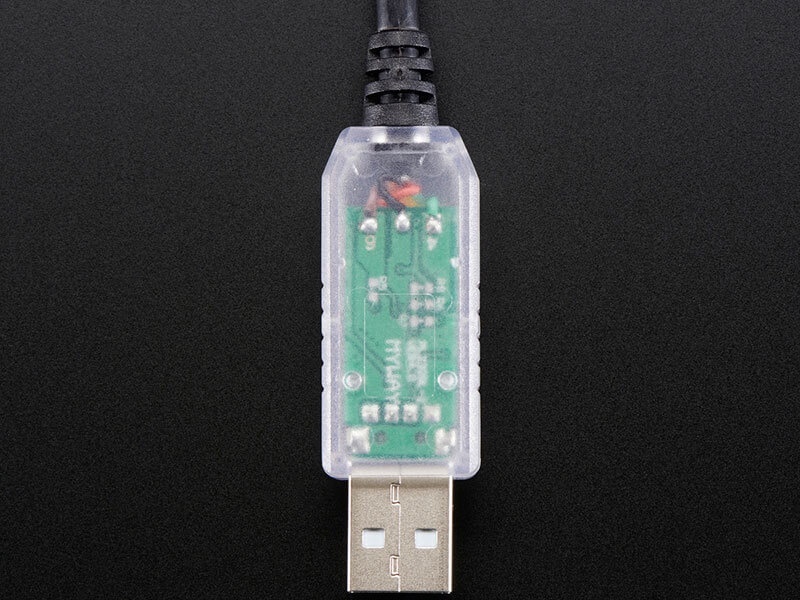 If you have a device that is running at 5V logic and requires 5V power, this cable will work fine. 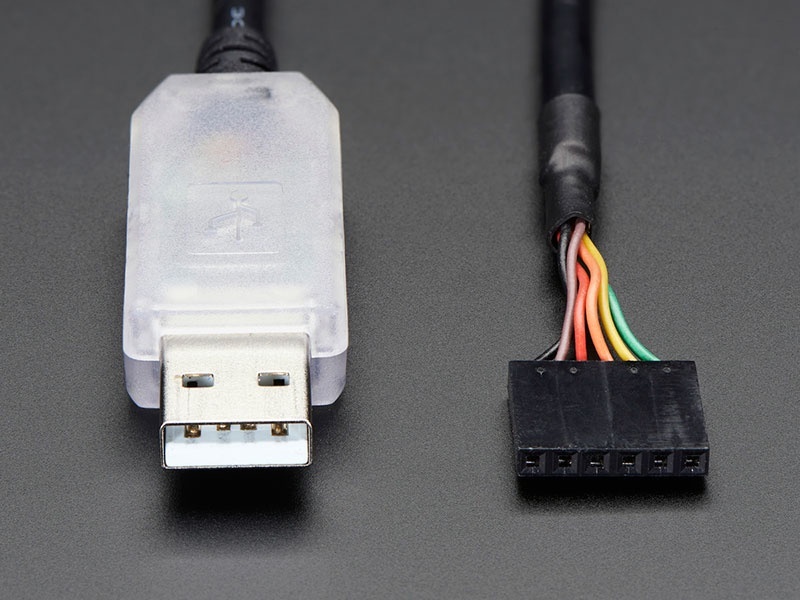 This cable is fully compatible with the TTL-232 cable from FTDI. You can download the drivers and the diagram / spec sheet which has mechanical cable details. For more details about the FT232RL itself, check out that datasheet here.